What is the best way to use up leftover Thanksgiving cranberry sauce? Drink it! In margarita form, that is! 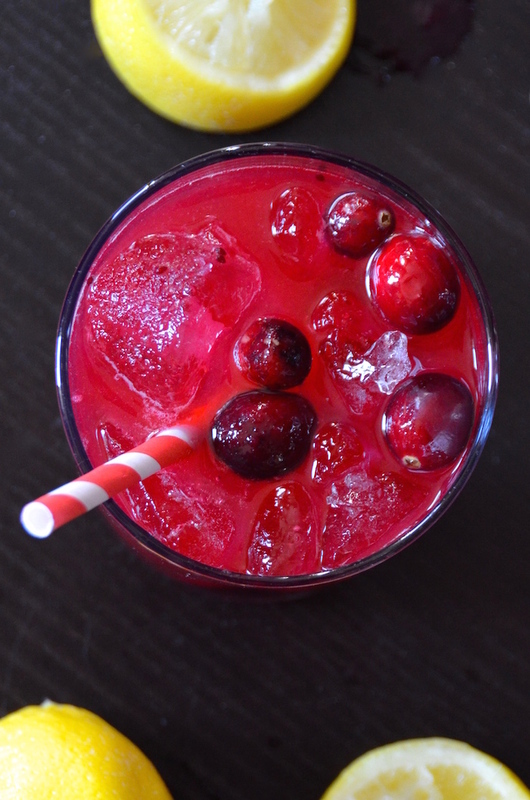 This ridiculously good Cranberry Sauce Margarita is made with leftover homemade cranberry sauce (yes...it has to be homemade. The jelled canned stuff won't work here. ), tequila, fresh lemon juice, and a bit of triple sec. Oh and you know what? You don't even have to wait until after Thanksgiving to enjoy it. Skip the pinot noir and mix up a pitcher of these instead. Your guests will love you. You'll notice that I used fresh lemon juice in my margarita instead of the usual lime. I actually prefer the way the lemon tastes with the cranberries, but give it a try both ways and see what you prefer. And since homemade cranberry sauce tends to differ, use that as a guide when determining how much acid to add. If your sauce is super sweet, you may want more lemon juice. If it's a bit tart? Then less. Taste and see what works best for you. 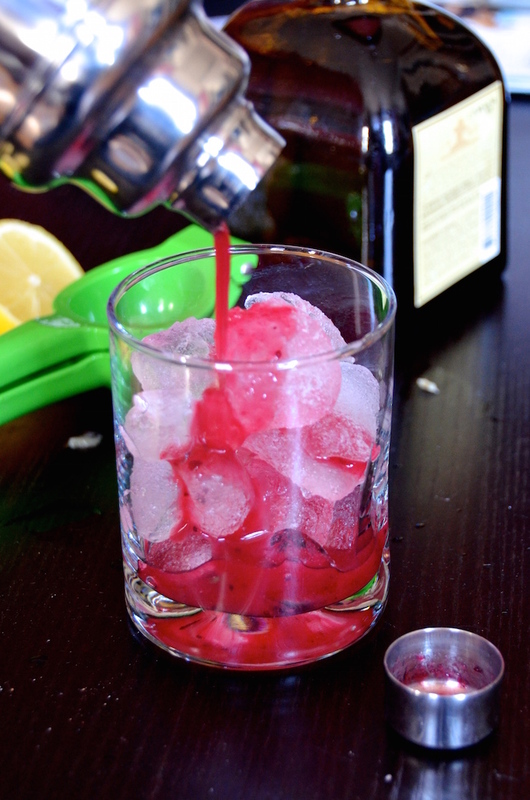 Combine lemon juice, cranberry sauce, triple sec, and tequila in a large shaker. Add ice, cover, and shake vigorously until outside of shaker is frosty. Fill a cocktail glass with ice and strain drink into glass. 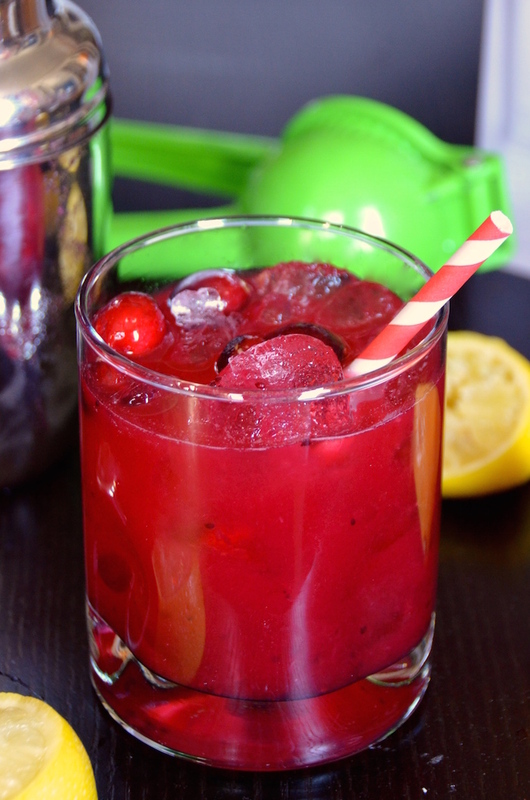 Garnish with a few whole cranberries, and serve immediately.